On the day before he died late Prime Minister Pierre Charles began the process of identifying a successor, The Sun can disclose. However, the plan was cut short by his sudden passing and Charles never disclosed if he had anyone in mind, those working with him on this matter said. The Sun investigations revealed that sometime between midday and 12:30 p.m. on January 5th, Charles placed a call to his close friend and confidant, Anthony Astaphan, telling Astaphan that he wanted to discuss a succession plan or the way forward. Later that day, Astaphan, Ian Munro and Simeon Albert, public relations officer of the Dominica Labour Party, (DLP) met Charles to begin talks on the subject. "He said that with the pain that he had, if it didn't subside in the next few months, he would not continue past (the next general) election… He spoke a lot about the pain he was feeling but he did not say the cause of the pain," someone familiar with the Monday meeting told The Sun. Earlier that day, Charles had also met with Griffin St. Hilaire, the former DLP senator who, at a meeting of the DLP national council in St. Joseph the previous week, had stated in no uncertain terms that he was unhappy with Charles' leadership and intended to challenge the Prime Minister for the position of political leader at the delegates convention on February 29. But he did not tell the group of three what he discussed with St. Hilaire, those present said, although it is believed that St. Hilaire apologized to Charles for his behaviour at the St. Joseph meeting. Instead, Charles indicated that "he was at the point where he didn't have the energy to do all the political rambling that was required" and that he was looking for someone to replace him as party leader in time for the election. "A lot of the things (involved in a general election campaign) require tremendous work and he knew what he was feeling personally. In spite of the fact that his doctors repeatedly told him that he was not worse off, he knew what he was feeling. So in his own judgment he wanted to know if something would happen to him, he wanted someone in place," Albert told The Sun in an exclusive interview. The DLP public relations officer immediately recommended Astaphan and Charles was prepared to "look at a constituency for the prominent lawyer", Albert said. "I suggested Tony Astaphan. Tony has been of remarkable support for Pierre Chares," Albert stated. "He is a person who is always ready to help the party in all areas. So when the PM suggested it (that a successor be identified) I suggested 'why don't you consider Tony Astaphan?' He has defended the party for so many years and he has made his mark," he added. But Astaphan declined, saying that while he would continue to work to assist the party, he was not prepared to assume the position of Prime Minister. The meeting ended without further discussion on the succession plan, and another meeting was scheduled for lunchtime on Tuesday, January 6. At about 12:30 p.m. on Tuesday, the Prime Minister advised the group that he was running behind schedule and that he wanted to postpone the meeting for later that evening, The Sun's investigations revealed. The Prime Minister took ill and died about the time he was scheduled to be discussing a successor. "We never got to (discussing) the actual plan because he died the Tuesday. Time did not permit us to even speak to anyone. We had that session with him and none of us ever asked him if he had somebody in mind. He did not suggest it and we did not ask him," Albert said. "That was a question we wanted to ask him but how unfortunate, it never came to none of our minds to ask him the Monday." "He knew what his potential was and he knew where to draw the line and I think that he was reaching that point. (But) God didn't give him the chance to identify the person who would succeed him. God wanted him to go as the person who stood to the end for what he believed. "I can almost say from the discussion with him on Monday that he was in a relaxed frame of mind in the sense that… sometimes it's only after when somebody passed away you realize that what the person was saying they knew that something was up. "He used words like 'in the event that I cannot continue' and 'if something happen to me' and to see that something happened to him the following day, one almost sensed that he sensed something," the DLP spokesman said. Albert stated that this was the first time that he had ever heard these words from Charles and he felt that it was against the late Prime Minister's character to give up. "All the years I have been around him he has always stood firm that he was in it for the long haul, so, when he asked for a succession plan he seemed like he had given up and one can almost say that he sensed something," he concluded. 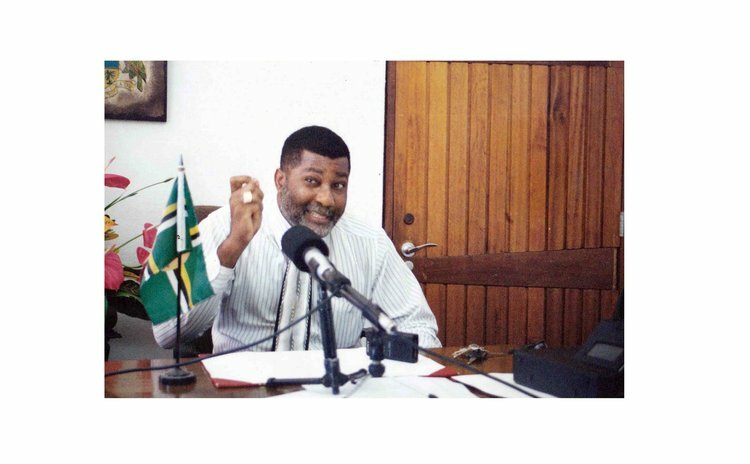 A former confidant of the late Dominican leader said he, Charles, was ripped apart by some of the antics of Kairi FM and the station owner, and he was also troubled by the fact that some in his party did not fully understand why he fought so hard for country and not to satisfy the selfish desire.